Comfortable single room with balcony. Finished with wardrobe, mirror and television. It has a private bathroom with shower, equipped of bath towels, washcloths, and hygiene products. 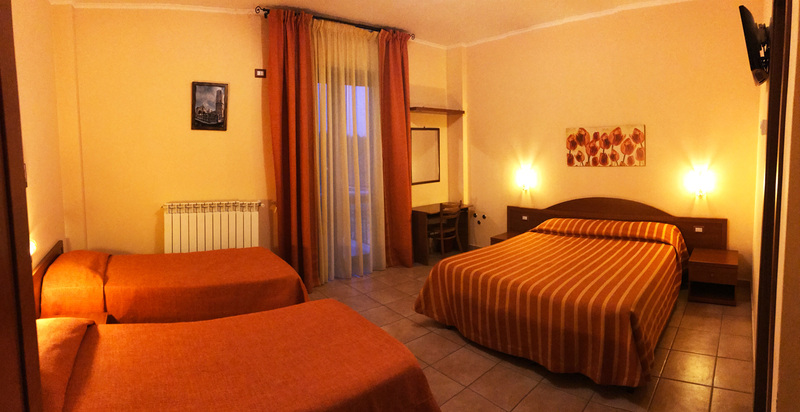 Comfortable room with 2 single beds or double bed that sleeps two or three peoples. Finished with wardrobe, mirror, two reading lights and television. It has a balcony, a private bathroom with shower, equipped with bath towels, hand towels and hygiene products. Comfortable room with three single beds or 1 double bed and a single bed that comfortably accommodates three people. Finished with wardrobe, mirror, two reading lights and television. It has a private bathroom with shower very large, equipped with bath towels, hand towels and hygiene products. 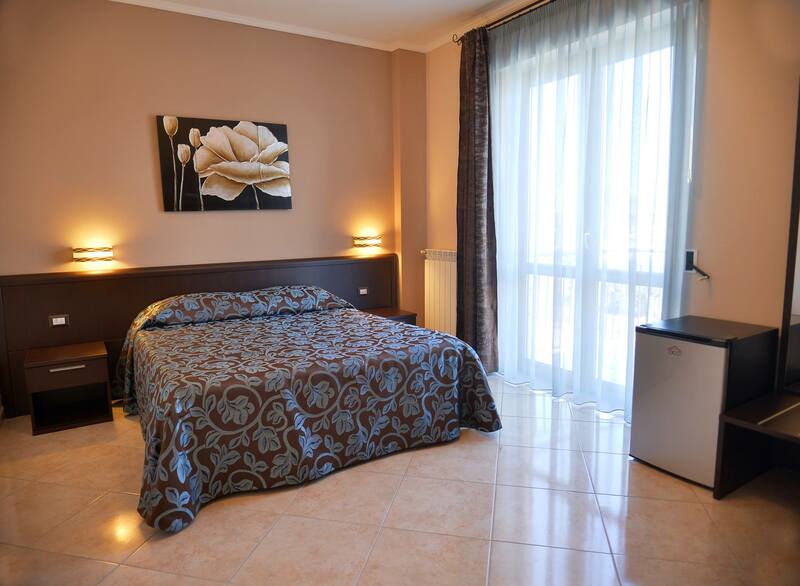 Comfortable room with 1 double and 2 single beds that comfortably accommodates four peoples. Finished with wardrobe, mirror, two reading lights and television. It has a balcony, very large private bathroom with shower, equipped with bath towels, hand towels and hygiene products.